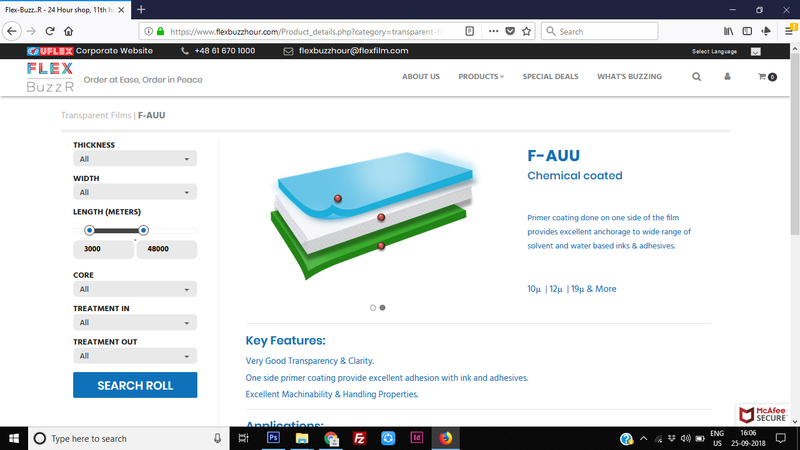 Flex Films, the global film manufacturing arm of India’s largest multinational flexible packaging solutions company, Uflex, has launched first of its kind e-commerce website FLEX-BuzzR that will make available the company’s complete range of film offerings from its Poland plant to its European Union (EU) customers, at a click of a button. This uniquely designed B2B platform lives its tagline ‘Shop at Ease, Shop When You Please’! It was unveiled by Flex Films International vice chairman and CEO Anantshree Chaturvedi at the FachPack 2018 exhibition in Germany on 25 September 2018. 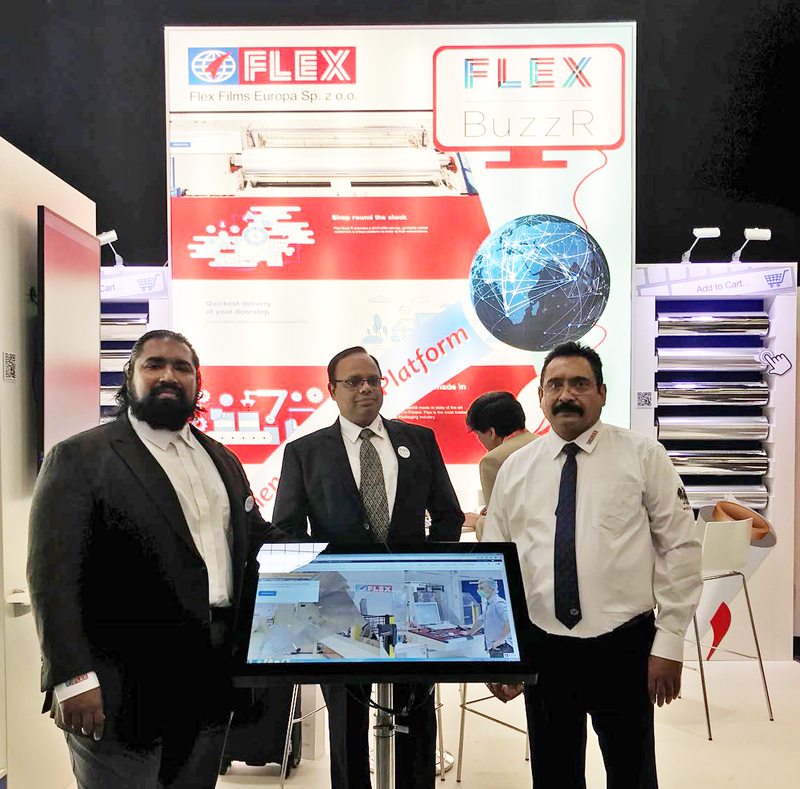 FLEX-BuzzR is intended to supplement Flex Films existing brick-and-mortar business model. The website not only offers its portfolio of films but also allows customers to browse product catalogue, find clear product descriptions, technical specification, its end applications, and also the best deals available. Eventually customers would have the option to create their cart for which a formal order would get generated in real time post confirmation by relevant sales lead. Active production site in Poland offers unique opportunity for European customers to not just pick up readily available rolls (Quick Pick Order) of what they like, but also order as per their customized need at the same time (MadetoOrder). Explaining the objective behind launching FLEX-BuzzR, Vishal Nayyar, senior vice president – global business development at Uflex said, “What makes FLEX-BuzzR unique is that it’s an easy to navigate user-friendly site, aimed at offering an uncluttered alternative to its European customers to explore and order Flex’s amazing flexible packaging films at their own convenience. This helps us extend engagement with our esteemed customer base in EU, by fulfilling their 11th hour film needs besides being their trusted partner on servicing their planned business for all these years. Besides it being a unique service differentiation in the industry, Flex Films wishes to utilize this platform to announce its new product launches as also collaborate with the relevant stakeholders online to work on future film solutions of common interest.